This is a post that I have put off for quite some time now. It started out as a three month look and then roughly six months. That turned into a 12 month retrospective but then I was fortunate enough to get a Nokia N9 in for review at around that time so that idea fell by the wayside. I feel that with the launch of the natural successor to the N8 at Mobile World Congress, the Nokia 808 PureView, which was preceded three weeks or so before that by the release of Nokia Belle, now is as good a time as any to post my long term review of the Nokia N8. Typically when I chose a phone before, I would go into the operator store when my upgrade was due, pick a price point and then have a look at what devices were available. The N8 was the first phone for me that picked itself. From speculation, to leak, to the announcement in April 2010, the seemingly interminable wait and ultimately the launch at the end of September 2010, this was a phone that had my constant attention. 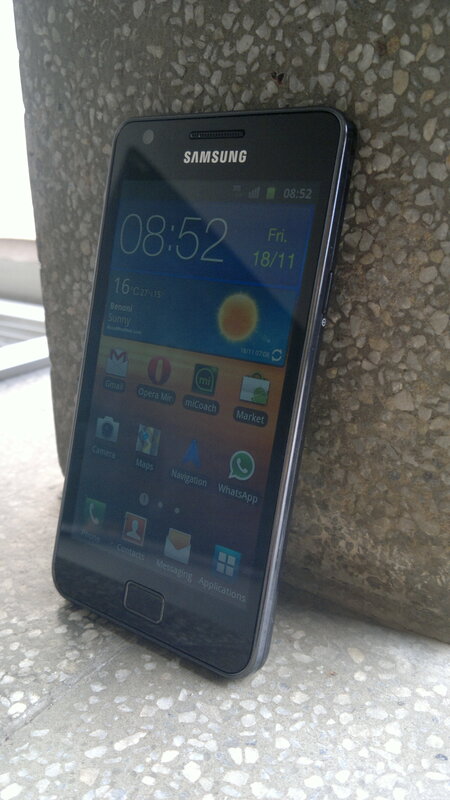 In this day and age when software is what drives consumer uptake, the N8 simply wowed me with the hardware. The stunning industrial design, the component choice and the superlative camera were what drew me to the phone. It seemed as if the N8 was plucked from my very sub-conscious, a phone after my heart! 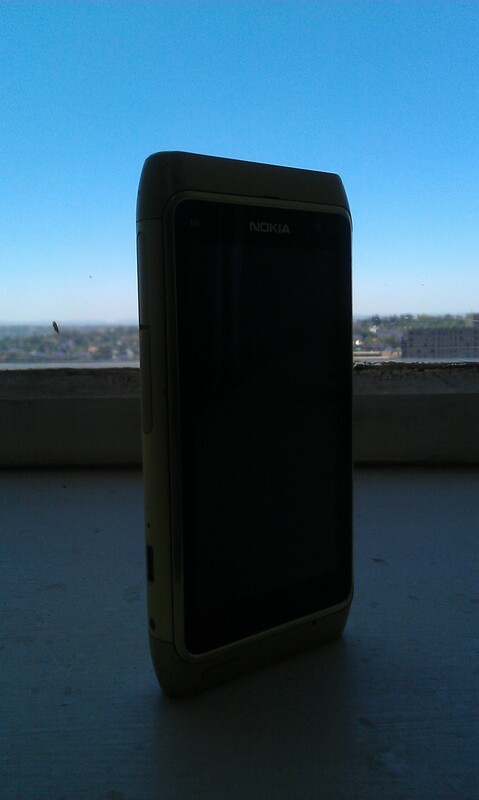 I was undeterred and I bought my own N8 in the New Year, the first phone I had put down cold hard cash for since 2002. And then February 11th happened. The last rites for Symbian. Of course the N8 didn’t mysteriously stop working on the eve of Stephen Elop’s announcement but as this would be my device for a long while I was worried about the long term support of the platform. Fast forward to 2012 and my fears were unfounded. I can safely say that the N8 is a significantly better device today than it was on the day that the announcement to shift smartphone strategy was announced. For a while after the announcement, while I suffered through the Symbian experience I used to gaze longingly at Android and iOS, set in my old ways but wanting to get a taste of what were billed as modern and connected mobile computing platforms. There was lots to aspire to with those platforms, refreshing user interfaces and user experiences, elegance, power and a myriad of services and apps to tap into. When I was due for a contract upgrade at the end of last year I ended up on Android, with the HTC Desire S and later swapped that for my wife’s Galaxy S2 (she found it overwhelming). I had very high expectations, in particular in the apps and services department. In this modern era heralded by iOS, the app is the key currency of mobile. The more apps the platform has the better it is for the consumer, as it allows for extensibility of the functionally of the device far beyond the out of the box experience. Hence the transition to a war of ecosystem from a war of devices, something we hear very often these. Software is today seen as the great enabler far more so than the hardware. And there is merit in that viewpoint. The ubiquity of Android and the range of price points it inhabits, from desireable hero devices like the Samsung Galazy S2 and Galaxy Nexus to midrange devices the Sony Ericsson Xperia Min Pro to entry level starter phones like the sort Huawei and ZTE specialized in, has heralded an era were more users can be technologically enabled through mobile regardless of price entry point. The limiting factor is still of course the cost of access to data and here in South Africa for example, the price of data is still the greater inhibitor. The past four months with Android devices have been an eye opener. I have gone through a period of self reflection regarding my phone, particularly what exactly I want to do with my phone. Now exposed to this smorgasbord of mobility, connectivity and tweakability, I expectedly indulged. Boy did I indulge. And as I said in an earlier post, I literally drowned. While swimming back to the surface, I was able to sift through my digital wasteland, and when I gasped for breath I had a very clear understanding of what I wanted from my devices leading me to where I am today. My SIM card has literally been jumping in between devices, but for the last two weeks has been in the N8 where it will remain for a long while yet. My journey of discovery and exploration of other platforms has led me in a roundabout way back to the N8 and creaky old Symbian. I did give that earlier insight as to why this might be the case, and to summarize, it is all about the hardware! When I got the N8, the Symbian platform’s ecosystem was something of a desert. Since about June last year however, I have noticed an influx of news apps from third party developers transforming the ecosystem and plugging gaps. While it’s no where near the level of the big two, I would now describe it as steady if somewhat unspectacular. As I have streamlined my app usage and stopping hoarding apps, I basically have a similar app complement on my Android and Symbian devices. Some aspects are a given like mapping, document handling and multimedia consumption so don’t count towards my lists. My core services apps are Opera Mini, miCoach/Sports Tracker, Twitter (Gravity), Facebook (fMobi), Simplenote (SymNote), Read It Later (SymPaper), Last.FM (QuasarMX/Mobbler), Remember The Milk (Quick Milk), Safe Wallet and Whatsapp. These services are indispensable and I will write off a platform , like I did MeeGo, if these are absent. I feel without these services I get an inferior mobile experience. The next tier is important too but I can do without, with reluctance with some apps. These are Foursquare (4squick), Dropbox (Dropian), WordPress (cutePress), Youtube (cuteTube), IMDB/TMDB (Cine Whiz), Flickr (Flickr Up), Podcasting (Podcatcher), GetGlue, Skype and screenshot capability (Best Screensnap). Everything else is superfluous in my eyes. With that in mind, the N8 has had me covered entirely. Of course for other users this might not be the case, it’s still lacking some marquee apps like Evernote, Kindle, Pulse and more, and for those users a Symbian device would not be appropriate. Along with the steady ecosystem, the N8 has received along with the patches to launch firmware, two major OS overhauls. Anna for me was still no more than a papering exercise but Belle has really been a majot improvement. Naysayers will of course point out that it barely brings Symbian in line with iOS and Android from a UI perspective. And they are correct. For example, read Alvin Wong’s Belle review over at Unleash The Phones, written from an Android user perspective. A lot of what he writes resonates with me, both from a positive and negative aspects, and obviously because I use Android daily. I am particularly rankled by the continued use of notification pop ups, when the pull down down notification drawer has been implemented. It makes it feel like a rush job, which it clearly wasn’t, and in reality is probably to maintain familiarity for old users. This was the reason given for why S^3 shared so much visually with the much maligned S60 5th Edition/S^1 when in reality users would have been perfectly amenable to the change. That kind of thinking does users an injustice I feel. There are other weakness that persist with Belle, for example sharing is still weak and leaves me wondering still why Share Online was never developed further. Also integration of services on devices is average and apps like fMobi and Gravity have their own excellent implementations. Text input remains for me the weakest link in the OS. The Belle keyboard remains the worst in the business sadly. Overall though Belle is fast, stable and memory efficient. The key thing about the N8 though and what sets it apart from other device in particular the modern Symbian devices, despite it being the granddaddy of them all, is that from a hardware perspective it remains a superlative device. Personally I am willing to sacrifice a little bit in software for better hardware, than have mediocre hardware and great software. I will give you a real world example. My wife has recently been to the Kruger National Park and to the Drakensberg for work related purposes, and had the Desire S as her phone. She is an avid runner and has been a Sports Tracker (and now miCoach) user for a long while. On both those trips she complained about the Desire S struggling to get GPS fix. Moreover, the voice coaching with miCoach was pointless since the Desire S loudspeaker is really quite poor. She struggled with cellular signal and connectivity. Having a device running Android 2.3.5 was no consolation. Poor hardware neuters good software much like the opposite is true. I had similar if less extreme situations with the Galaxy S2. On my weekly runs, I tried using the Samsung when it was my main device and honestly while the speaker was better than on the Desire S, sometimes I struggled to hear the voice prompts which I required for pacing on my training runs. I also found GPS lock spotty. In pretty much all cases the N8 was getting a lock in 10 seconds or so but with inclement weather or being in the city for example, the Galaxy S2 would struggle and frustrate. This is a niche example but I can extend this even to navigation, where even before comparing the mapping software, the N8 was already far superior for in-car performance. Where the N8 has really shone for me has been the camera obviously. In this respect it has remained my go to device and has necessitated me always carrying two devices when my SIM was in the Galaxy S2, particularly in challenging situations like low light and at night for the power of Xenon. I don’t want to to turn this into an N8 versus Android, but I wanted to put my long term view of the N8 into some kind of real world context. These devices do not exist in isolation and I have been lucky to be able to compare the aspects I enjoy and those that frustrate me with the N8, over a reasonably long period with a device that is rightly considered one of the best in the world, certainly before the new wave of devices hit Mobile World Congress. I have always been a believe in always going for good hardware, as long as there is a commitment to improvements in software. Even in the S^3 portfolio I feel the N8 is something special. I reviewed the E7 in September, and I would not have traded it in for the N8; the gain in screen real estate and the stunning keyboard made for compromises elsewhere that I would not accept.. Likewise the C7 which I have had some hands on time with and by extension it’s successor the 701. Indeed the only other Symbian device I would trade the N8 for is the 808 PureView, which for me speaks volumes about what a superb job Nokia did with the hardware. Yes it looks like Belle will be the last major refresh for the device, save for changes and fixes, but I think that two OS updates is all we should expect from manufacturers and any more is a bonus. Over the past 14 months I have owned a device that is industry leading in the components that matter most to me, and it has had iterative software improvements that now make it a genuinely enjoyable device. I can say without a doubt that the N8 is now number for me for all devices I have used and it will always have a special place in my gadget collection. Superb post, very well written. Couldn’t agree more. Only disagreement would be regarding the keyboard aspect. I somehow don’t find anything wrong with the Belle qwerty keyboard (functionality wise), though I alternate between that and Swype 2. I agree about the N9 keyboard thing. I don’t know what is stopping people concerned from implementing the gorgeous N9 keyboard for Symbian. And the search beta from Betalabs was not bad either. I agree on the keyboard. The gravity one is nice. It is amazing how SO many mobile phone shop assistants sell Android because of all the Apps. As you have mentioned here and more clearly described in your previous post, there are only so many Apps you can realistically use or desire; any more is superfluous and merely clutters things up. You are correct in identifying the importance of hardware. When I upgraded to the N8 it was the first smart phone I’d had. The reason was that I needed a new SatNav (my old TomTom was dying) and I liked the idea of having a decent camera so that I didn’t have to take a phone and a camera out with me. The SatNav has been brilliniant and does indeed lock on to a signal very quickly indeed; the fact that I can download for free maps to other countries that I visit is a massive bonus. The camera has also been of great use taking some very good photos and the only time I’ve found it limiting is when I needed a more powerful flash (but many point-and-shoot dedicated cameras aren’t much better) and a more powerful zoom; both of which would appear to be addressed by the 808 Pureview. The only other aspect I’ve found limiting is the battery; there are days when I use my N8 heavily and,,especially now it’s 16 months old, it often doesn’t get me through the day on one charge. 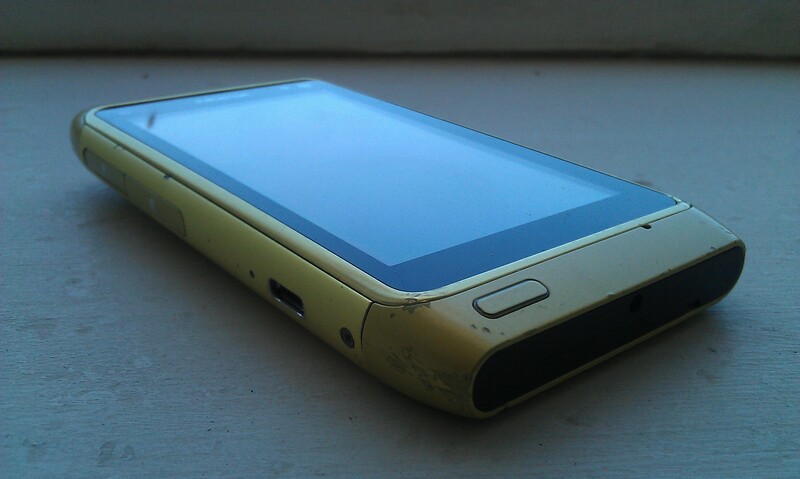 I wish that NOKIA had put in a more powerful battery and/or allowed it to be esily removable. I’m due an upgrade about the time the 808 is due out. For the first time ever, as I approached the end of my contract, I wasn’t eager to upgrade; so happy I was with the N8. That was until the 808 was announced!!!! Great article, especially the point about the number of apps. I have both N8 and N9, the N9 is purely head and shoulders above any other phone in terms of usability. 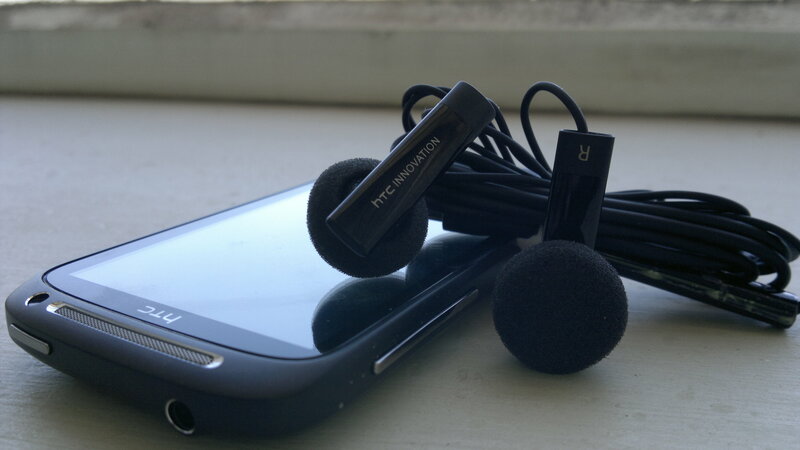 The one other aspects of the N8 that I want to highlight is the music functionality including FM transmitter. I gave away my ipod years ago in favour of using the marvelous Nokia Music player and the sound quality is superb. Thank you for the post. I was happy with the original keypad on the N8, but then came the Belle upgrade. Now my errors are way more as the keyboard is definitively smaller than the older version. It looks as if I do not know how to spell anymore and the time wasted in correcting wrongly typed letters, is getting too much. Does anyone know if there are another keyboard app one can download??? i agree with article, i never found a device from any maniacturer to be as exciting as the n8. Only nokia themselves could make a more exciting device. And oh how they did it with the lumia 920 and the 808.